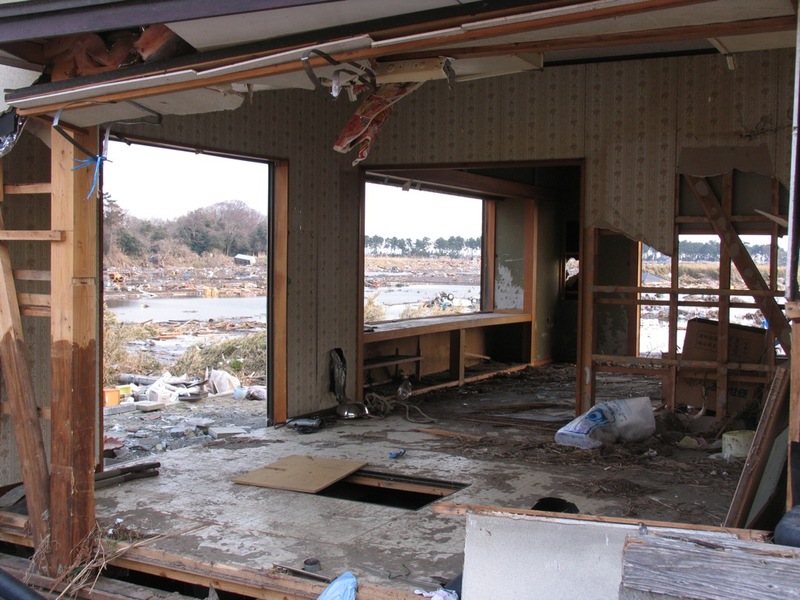 SENDAI, JAPAN (A2) - What is the Church in Japan doing with tsunami relief? In our visit to Sendai, we saw many Japanese churches that had already sent funds, several loads of relief supplies, and volunteers to be a part of delivering immediate aid. You can read more and see a video clip here in part 2. In addition to being relief hubs, Japanese churches are really assessment centers. They have people on the ground in the impacted neighborhoods and have firsthand witness to what the needs are. Assistant Pastor Masatoshi Ohkita of Midorino Chapel (Keisen Christ Church) says that these needs are rapidly changing. People from his church in Ibaraki prefecture have already visited three times in the last few weeks. Each time they come north, the needs are dramatically different. Local churches are in a position to understand what needs people currently have and are positioned to deliver the right kind of aid. For example, if people need clothes rather than food or baby diapers, it's often the churches who know first and are making appeals to their church partners to provide it where needed. Churches can call each other for transferring supplies more expeditiously than going to a huge warehouse further away. We also learned from interacting with our initial A2/CRASH assessment team that these volunteer teams going out from the local churches often connect with local neighbors who serve as gatekeepers and informants to say who needs what. These gatekeepers or "men/women of peace" as they are called need your prayers as they are exposed to the gospel in action. They are strategically placed on the front lines, and are working very closely with believers to help their neighbors. This is a huge opportunity to share spiritual aid in addition to physical aid! Pastor Ohkita emphasized that his group of churches (Keisen Christ Church) is committed for the long haul. And frankly this is the case of most Japanese churches. The Japanese government is doing a lot and the relief agencies are currently serving in tremendous ways. However, long after the RELIEF agencies and other NGOs leave the area, the Japanese Church is committed to long-term RECOVERY. This long-term commitment to recovery is precisely why Asian Access is channeling a majority of its relief funds through its network of local churches. On a personal note, it was encouraging to interview Masatoshi Ohkita Sensei. Several years ago, I interviewed his father, Rev. Masahiro Ohkita at Midorino Chapel for several video projects, including the Spotlight on Japan. How will you be involved in bringing hope to Japan? Are you willing to pray? Willing to give? Willing to go serve?